Today, the digital divide in India is real - illiteracy rate is 25-30 per cent and digital illiteracy is even higher. Within 24 hours of the demonetisation announcement, a street-side pani-puri vendor in Raigad, in rural Maharashtra, had a sign put up on his thela: "digital payment accepted here". To me, this was an indication of the tremendous potential that this revolutionary move has in driving the digital revolution to the grassroots. Today, the digital divide in India is real - illiteracy rate is 25-30 per cent and digital illiteracy is even higher. About 70 per cent of over one billion Indians lives in rural areas, and only about 400 million have Internet access. Universal Internet access is a must to fulfil the government's vision of Digital India and the ambition of a less-cash economy. The Indian telecommunication industry has created a billion mobile connections, positively impacting the lives of the people and the economy. Significant investments have gone into creating telecom infrastructure - 2G voice and data covers nearly 97 per cent of Indians, while 3G/4G services are available to 68 per cent of the population. About 87 per cent of the Internet-connected population accesses it on the mobile phone. Hence, mobile technology will continue to remain at the forefront of driving digital inclusion. Three major interrelated trends are playing a critical role in taking this forward. Rising penetration of smartphones: Although India has 220 million smartphone users and is the second largest smartphone market in the world, the overall penetration is still just about 30 per cent of the population. Here underlies the potential for rapid growth. Growing use of mobile data: While voice continuing to be the biggest revenue generator for the telecom industry, mobile data consumption has been the biggest growth driver consistently for several quarters - a trend that is expected to continue. Digital literacy and access: The digital divide can be bridged only if communities have access to digital channels and are aware of how to use them. As part of the Digital India programme, 250,000 access points are being set up for delivering various electronic services to villages. An ambitious Digital Literacy Mission Scheme for rural India hopes to cover about 60 million households. The industry is working with NGOs at the grassroots to drive digital literacy. The Centre is putting infrastructure and policies in place to make the country truly digital. The current thrust in the digital payments space has resulted in companies offering digital wallets and payments solutions. The telecom industry also has a large role in bringing all Indians under the digital umbrella. Vodafone, for one, has prior experience in driving a "less-cash economy" in Kenya where over 65 per cent of transactions take place with M-Pesa mobile payments. The learnings from there are being applied in India. Such payments tools can facilitate money transfer for migrant workers who can send it to their families in rural India. They can also help in directly transferring benefits from the government to the deserving, and in helping small merchants and retailers receive payments from customers, digitally. To bridge the digital divide, there is a need to accelerate execution. Meaningful collaborations with the private sector, out-of-the-box thinking to maximise technological innovations and following a consistent, singularly-focused approach towards the larger objective, are key. 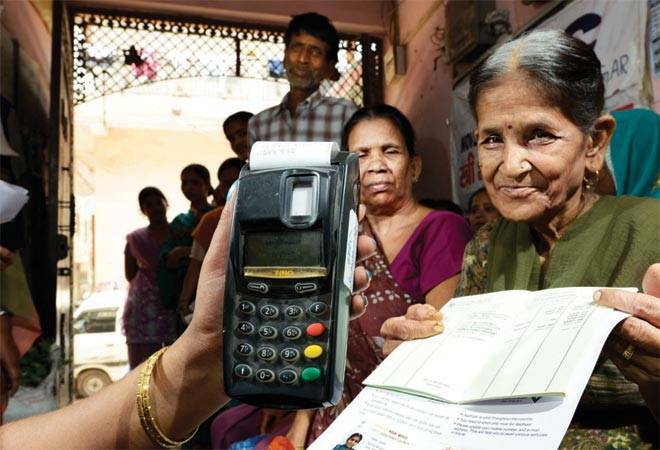 Utilisation of multiple modes of transactions, such as Unstructured Supplementary Service Data (USSD), Unified Payment Interface (UPI), Immediate Payment Service (IMPS), and Point-of-Sale (POS) machines, need to be strengthened to cater to the needs of both smartphone users and also those with 2G feature phones. We also need easing of regulations to allow inter-operability of wallets to ensure easy transfer of funds for merchants as well as for consumers. The recent reduction of merchant discount rates and incentives for cashless transactions can only be a temporary measure to accelerate adoption of digital payments. The government should be wary of over interference and leave such transactional matters to free-market forces and competition. Bharat Net, the initiative to provide broadband in rural India by connecting 250,000 gram panchayats with high speed fibre optic networks by 2017, is progressing faster than before, but laying of fibre takes time and is complex. However, leveraging the assets and reach of telecom operators, incentivising them for upgrading rural mobile networks to broadband faster than the business case allows, and deploying high capacity IP microwave links can help achieve over 90 per cent of the set target at just 25 per cent of the estimated cost and time. Appropriate incentives such as reduction of levies would go a long way to make this happen. Bringing about the desired change in behaviour among one billion people in a country as vast as ours is a challenge, but also an opportunity - a one-size-fits-all approach for bridging the digital divide will not work. We already have the lowest data prices anywhere in the world and with smartphones becoming more affordable, the adoption rate for such offerings will only accelerate. These offerings have to be delivered via relevant technology and supported by languages that the people are comfortable with. Also to sustain, it will be important that users are guided, educated and not penalised for making mistakes.